It's time for another challenge at the Sweet 'n Sassy Digi Challenge Blog. This week, It's Hip to Be Square. We want to see your square projects...it could be a square card or square project (square scrapbook page, photo cube, square paper box, etc.). I chose to make a 5.5" square card with the adorable Rhubarb. I really like this image of him with his wagon of "punkins." I colored the image with my copics and then used lots of sponging to highlight around the image. I also used sponging on the Scripture panel as well. 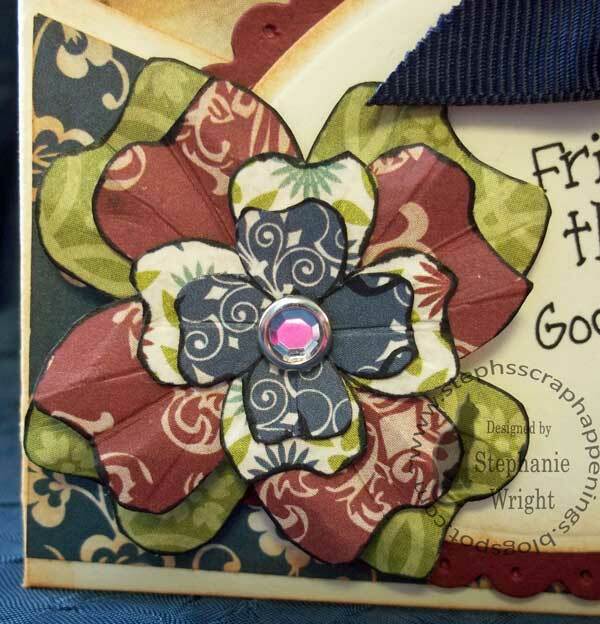 I handmade the buttons with a little help from a SU Sizzix embosslit die. I cut several and stacked them to thickness. Sponging and DMC floss finished off the buttons. 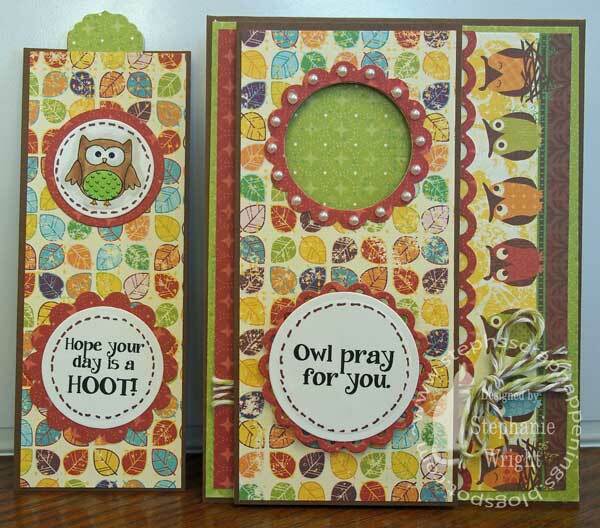 If you participated in last week's September Digi Release Blog Hop, don't forget to stop by the Sweet 'n Sassy Digi Challenge Blog to see if you are the winner of the entire release. Thank you to all those who left comments here for me. I appreciate every one of them. Thanks for adding a smile to my day. Thanks for stopping by today. I hope you'll stop back again soon. It's Friday so that means it's time for another Sweet 'n Sassy Digi Challenge. However, today, we are very excited to add a little something more! 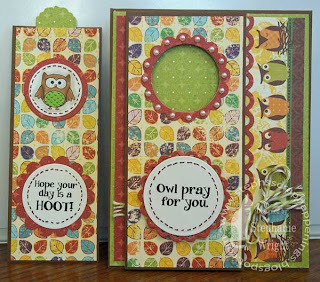 The Sweet 'n Sassy Digi Challenge Team is bringing you a fun Blog Hop to show you our September Digi release!! 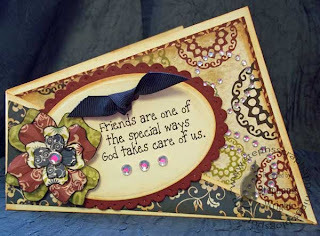 If you arrived here from Patricia's blog, you're in the right place. 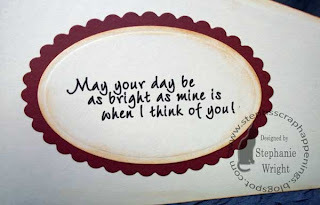 If not, you probably will want to start back at the Sweet 'n Sassy Digi Challenge Blog so that you don't miss a thing! This week's challenge is to use scoring on your project. I have scoring to make the shape of my card and I also scored each petal of my flowers to give the flower more dimension. Each petal has 3 scores and then I folded them mountain & valley style. You can see the scoring best in this picture. My bling really doesn't have pink in it....it's the lighting. Sorry! 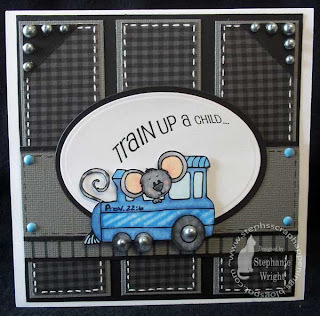 I recently saw this card design on SCS in their Try a New Technique challenge for 9/10/12 (TLC394). It's called a "twisted card." I thought it looked so unusual and of course, as always, I really like new card folds. I had to give it a try. I adhered the front pocket closed and put a removable panel in the inside pocket for a message to the recipient. Here's a close-up of the left interior panel. 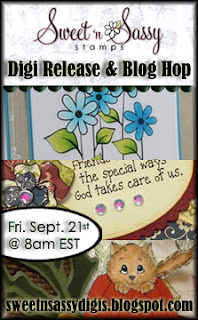 Now, here is the blog hop list to see September Digi Release-Scoring Challenge creations. Don't forget to leave a comment on each blog for your chance to receive the entire digi release! ~Please remember to use digital images ONLY for the challenge. ~You don't have to use SNS digi images to play along but we sure do love when you do! ~When uploading to online galleries, please use keyword SNSDC72. 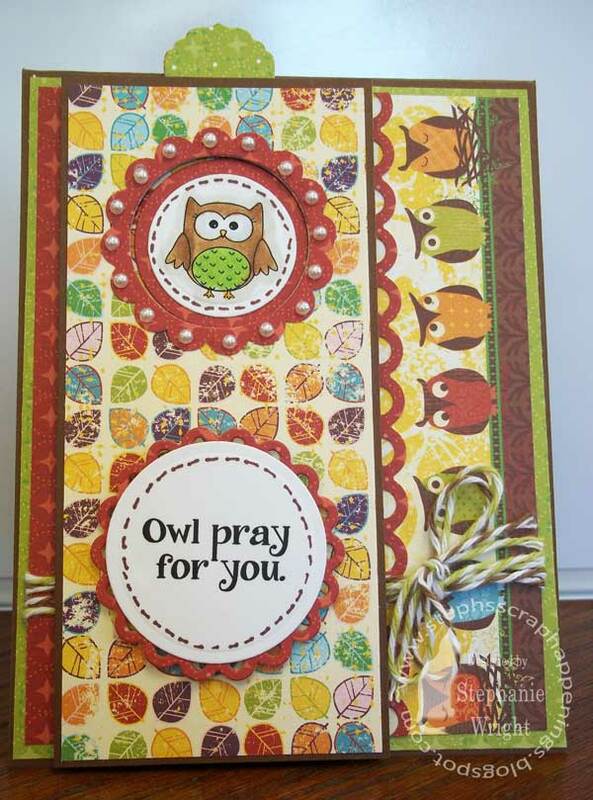 Every card you enter into our challenges throughout September, you will get one entry to be eligible for winning 3 digis of your choice from the Sweet 'n Sassy Stamps store. Because we strongly think those of you who love to use our digital images should be recognized a little more, every week we spotlight one participant who uses SNSS digi images for their card or project. Thanks for stopping by today. Your next stop is Wendy Jordan's blog. I *discovered* a new card design the other day and just had to give it a try. 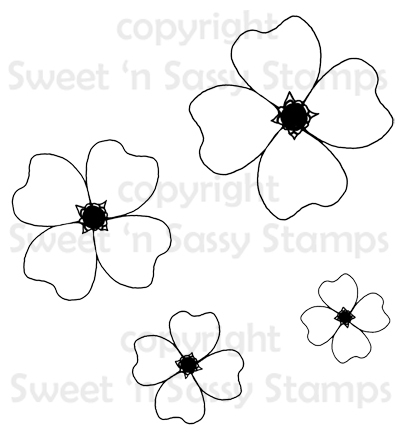 Diane's Daydream Designs has great digi stamps and tutorials. 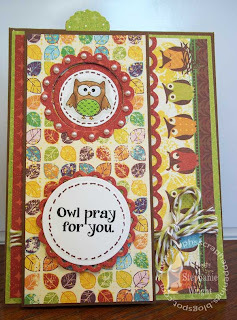 On her blog she has several free tutorials and the one that REALLY caught my eye was the one for a Bookmark Card. Several friends & family members are avid readers so I have a feeling I'll be revisiting this design. Diane's tutorial was easy to follow and I really like how my card turned out. 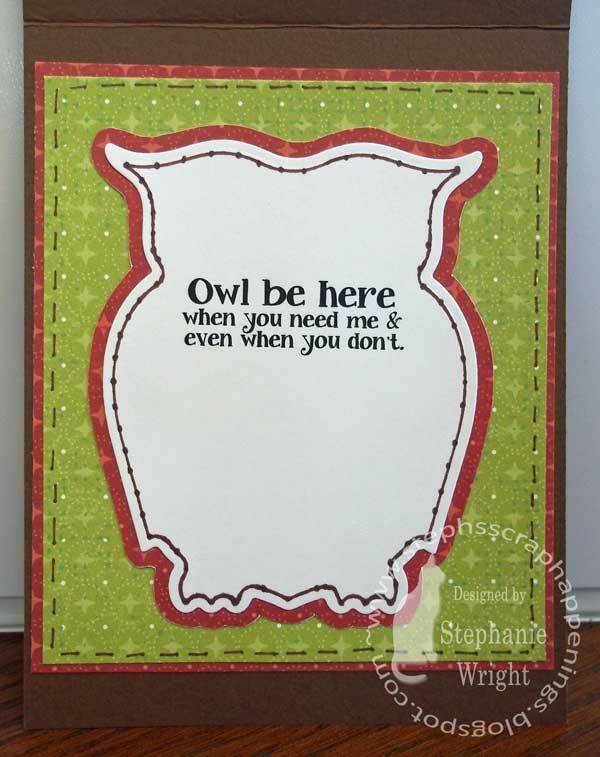 I've had these Spellbinders Owl dies for awhile but hadn't used them yet. This was the perfect project for their debut. I used them as part of the interior decorating. Thanks for visiting today. I hope you'll come back soon. 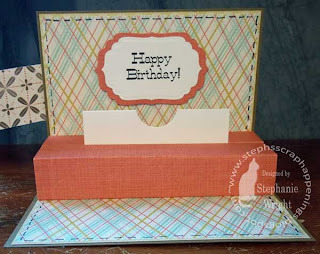 It's time for another Sweet 'n Sassy Digi Challenge and this week's challenge is to make a card that has some type of pop-up element. Since this goes in my "fancy folds" category, I was excited about this one. I used this Pop-up Gift Card Holder tutorial from SCS. SCS is one of my go-to resources for clear, easy-to-understand tutorials. I colored Fluff with Copics and used a glitter pen on the frill at the top of his hat. 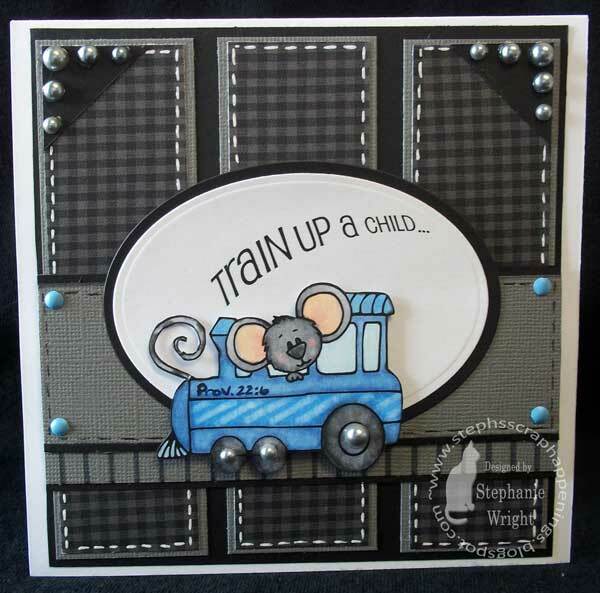 I used this week's CPS Sketch #282 for the design for the front of the card. 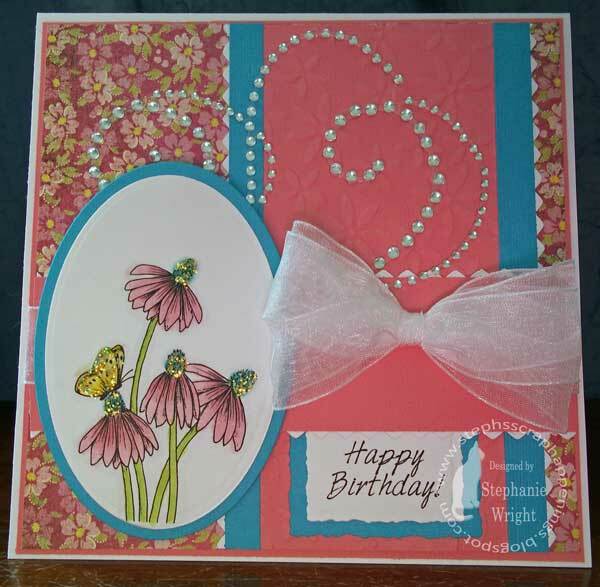 To allow for the tie to keep the card closed I moved the circles in the sketch a bit to the left. I used a scrap of drawing paper to make the envelope to hold the gift card. 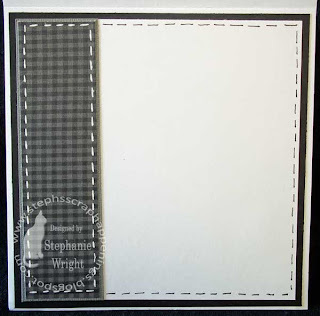 I used a 1" circle punch to create the cut-out to make it easy to remove the gift card from the envelope. Next time, I'll either decorate the envelope. After assembling the card, I added the "Happy Birthday" panel with a few pop-dots. I will definitely be using this tutorial again. It's so easy to do!!! I hope you'll give pop-up cards a try. There are many different types -- I've tried several and I think this one may be my favorite. Thanks for stopping by today. I hope you'll come back soon. I colored the coneflowers and butterfly with Copics and then used my nesties to cut it out. 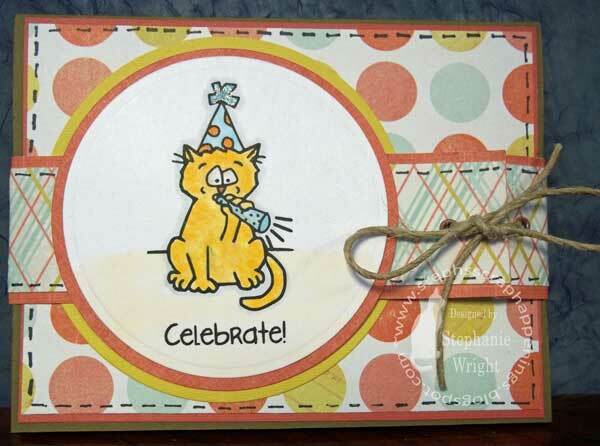 I wanted to play along with this week's Splitcoast Stampers Sketch Challenge (SC402) so that was the design for the card. I added some bling, a ribbon and brought back an old favorite...STICKLES! I've missed them. Thanks for stopping by today. Come back on Friday for the next Sweet 'n Sassy Digi Challenge. 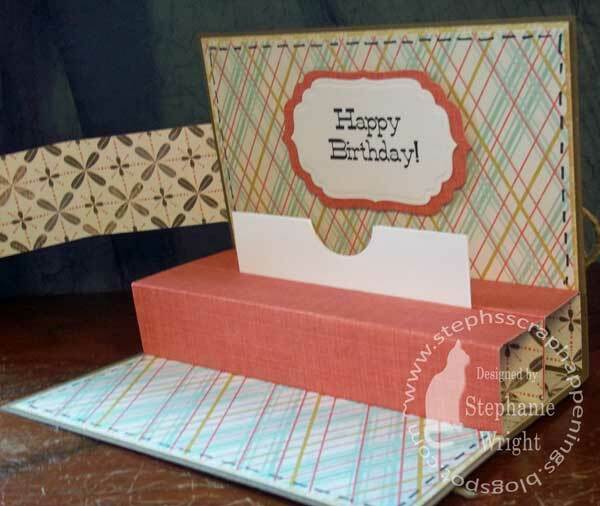 It's time for another challenge on the Sweet 'n Sassy Digi Challenge Blog. This week our challenge is "Things That Go." We're to use a digi or element that has a car, truck, train, plane, bicycle, scooter, hot air balloon, etc. I chose the cute Cocoa's Train image. After coloring it with copics I fussy cut it. I used PSE7 to make my "smoke" for the engine using the first part of Proverbs 22:6, "Train up a child..." I made each word in a smaller size font to simulate the smoke cloud disappearing in the distance. There's a train track below the wheels to complete the train scene. Instead of an Engine # on the train I used the verse reference. I did a little interior decorating. Thanks for stopping by today. I hope you'll play along with us this week in our "Things That Go" challenge.